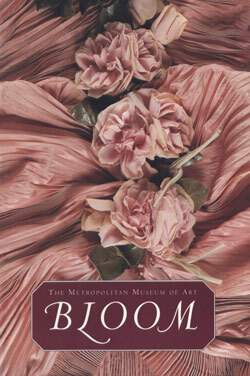 A few years ago The Metropolitan Museum of Art gave art lovers a great gift: Hundreds of exhibition catalogues, many out of print, were made available to download from their website, at no cost. A great book to help brush up on the history of haute couture. From the formation of the House of Worth founded in Paris in 1858 by British designer Charles Frederick Worth to the rise of Paul Poiret, Jeanne Lanvin, Madeleine Vionnet, Christian Dior, Balenciaga and Pierre Cardin, the book’s pages offer a chronological of who’s who in the couture world. It also gives some insights to the craftsmanship in making the garments with chapters on dressmaking, tailoring and embroidery techniques. This book was originally published to accompanying an exhibition on the first 10 years of Christian Dior's creations drawing mainly from The Costume Institute's collections. There are beautiful close up shots of evening wear and chic accessories, along with documentary photographs from the Dior Archives. As the House of Dior is celebrating its 70th anniversary this year, this is a timely read that will help you quickly become more familiar with the founder’s creations. A celebration of flowers in fashion, this catalogue mixes historical costumes with modern creations by the like of Hubert de Givenchy, Charles James and Valentino, and it offer an opportunity to compare how different designers have tackled the floral theme. It offers a few surprises too, such as Willa Kim’s incredible 1988 cocoon coat.